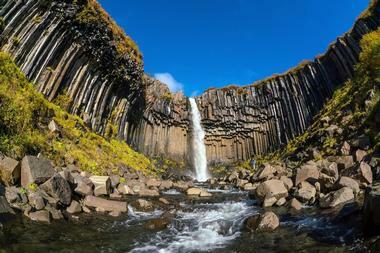 Iceland has more than a fair share of natural wonders for visitors to discover, including an enormous glacier, ice caves, volcanoes, geysers, waterfalls, and even shifting tectonic plates. 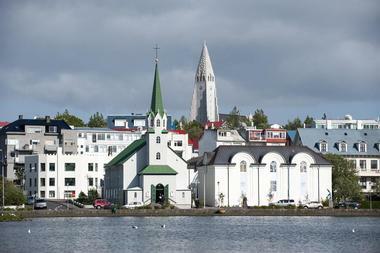 Reykjavik is home to an impressive collection of museums and other cultural attractions. After a long day of sight-seeing you can relax like the locals do by soaking in the hot thermal pools of the spectacular Blue Lagoon. 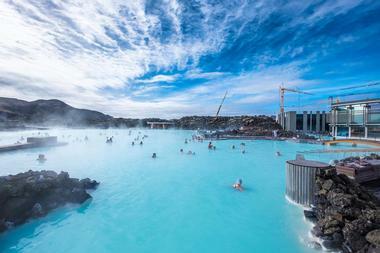 The remarkable Blue Lagoon is essential viewing for all visitors to Iceland as well as offering a relaxing and renewing alternative to sight-seeing. The lagoon came about due to a happy “accident” in the 1970s, when the Svartsengi Geothermal Plant discharged mineral-rich geothermal waters into large area surrounding the plant. The brilliant blue color of the lagoon is caused by the blue-green algae in the water and the lovely warm temperature ensures the whole area is enveloped in a mist of steam. You can join the locals as they relax in the warm waters and cover themselves with the snow-white silica mud, which is believed to be beneficial for a wide variety of skin complaints. After your soak you can shop for unique spa products in the on-site shop. 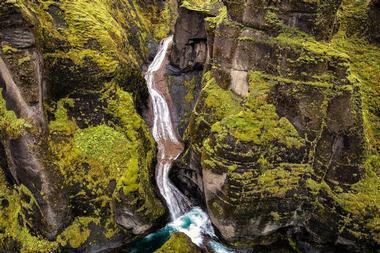 Luckily you don’t have to be able to pronounce the name of this picturesque canyon to enjoy its scenic beauty. The Fjaorargljufur is a beautiful glacier-carved canyon located in South Iceland, which is believed to have been formed over two million years ago during the last Ice Age. The canyon is over 300 feet deep and just over one mile long. You have two options for admiring this natural wonder – you could follow the well-worn path along the rim of the canyon for excellent views or be a little more daring and descend the steep grassy trail that leads from the parking area to the canyon floor. Hiking the canyon floor is not strenuous (and is therefore suitable for beginners), but you will need to wade across the river through the freezing glacial waters at several points. Imagine a valley of regularly-gushing geysers and bubbling white mud pots and you will have a pretty good idea of what to expect at the Haukadalur Geothermal Field. 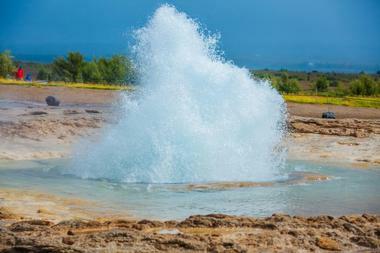 Although there is no shortage of geysers in Iceland, this particular area is unique in that there is at least one really dependable gusher for visitors to admire. Regardless of what time of day you visit, you only need to wait around 15 minutes for Strokkur (the smaller of two named geysers) to send an impressive fountain of natural geothermal water into the air. Part of the fun is catching the eruption on camera at the precise moment. This popular attraction is located about 60 miles from Reykjavik and is included in several popular tours of the Iceland Golden Circle. Located approximately two miles from the city center of Reykjavik, the Árbaer Open Air Museum is a must see for families and anyone interested in the history of Iceland. The museum has a collection of around 20 ancient buildings that have been brought to the site from their original locations and set up to resemble a quaint little village complete with a turf-roofed church, farm barns, smithies, and boathouses. The museum hosts a number of interesting events and exhibitions, and there are even some farm animals for the kids to pet. You can get a better insight into the history of Iceland by joining the guided tour and then relax and sip a coffee at the on-site café. 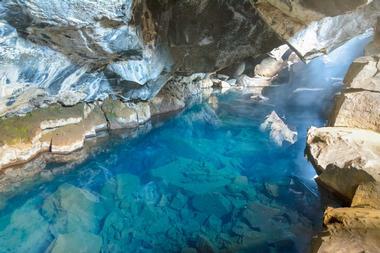 Located near Lake Myvatn in northern Iceland, Grjotagja is another of Iceland’s hidden treasures. If you are a fan of Game of Thrones, you may recognize this lovely volcanic cave, which featured in Season Three of the popular series. The cave contains a beautiful natural geo-thermal lake that was once a very popular swimming pool for the local people until recent volcanic activity (1975-1984) caused the water in the pool to become far too hot for swimming. Although water temperatures have returned to reasonable levels in recent years, swimming is now banned in the cave, but it is still worth a visit if you are in the area. Reykjavik’s most prominent landmark, the Evangelic-Lutheran church of Hallgrimskirkja towers over the city and is one of the most-visited tourist attractions. 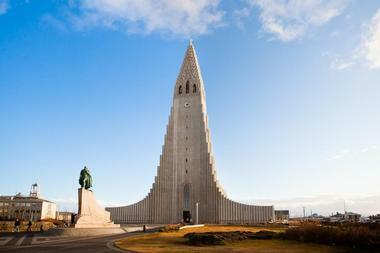 The modernist architecture of the church is quite unique and includes a stepped façade that pays homage to Iceland’s rugged landscape. You can take an elevator to the top of the imposing 242-foot tower to enjoy sweeping views of the city and surrounds. Inside, décor is restrained, as befits a Lutheran place of worship, and there is a very impressive pipe organ to admire. Try and time your visit for 12 noon, when a meditation service with organ accompaniment takes place. Entrance is free but a small fee applies to entering the tower. Harpa is a multi-faceted landmark in central Reykjavik that operates as a social and cultural hub as well as an impressive concert hall that is home to the Iceland Symphony Orchestra, the Icelandic Opera and the Reykjavik Big Band. As the cultural heart of the city, Harpa hosts a full menu of annual events, which include music and art festivals, and it is also used for fashion, design, and many other exhibitions. 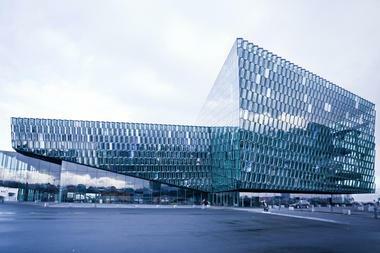 The best way to appreciate Harpa is to join a guided tour of the facility, which will take you “back stage” to learn about the unique architecture and history of the building. Rising from the ocean on the north shore of Iceland, Hvitserkur is a curious basalt sea stack shrouded in local legend. 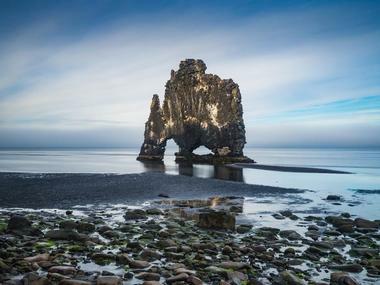 Once a solid volcanic plug, centuries of relentless pounding by the waves of the Atlantic have carved two tunnels through the stone, which is now said to resemble an enormous dragon drinking from the ocean. You can view the intriguing sea stack from the parking lot on the mainland or take a walk down to the shore – at low tide it is possible to walk out to the monolith to get some great photos. During the summer months the sea stack plays host to a large colony of nesting fulmar and the surrounding area is home to one of Iceland’s largest seal colonies. 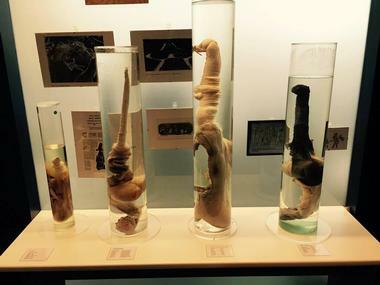 If you ever thought that all museums are boring, you may change your mind when you visit the unique and totally bizarre Phallological Museum of Iceland in Reykjavik. The museum is possibly the only one of its kind in the world and is proud to display a collection of 215 penises belonging to just about every animal found in Iceland (including four donated specimens to represent Homo sapiens). As you browse through the collection you will see specimens acquired from 17 different kinds of whale, seven seal species, and 115 specimens belonging to a variety of Icelandic land mammals. 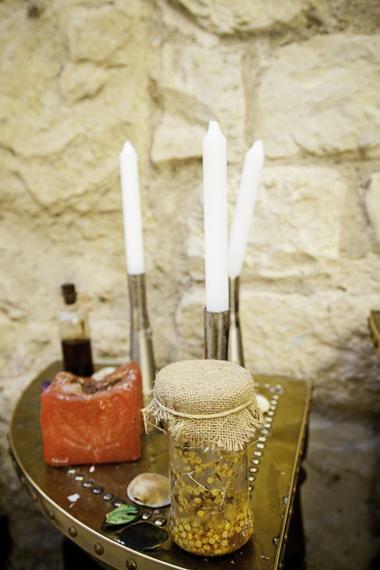 If you dare, you can shop for some very unusual souvenirs in the gift shop. Located in the caldera of a long-extinct volcanic crater, the Kerid Crater Lake is another of Iceland’s unique natural wonders. What makes this particular lake so special are the remarkable colors that surround it; the lake itself is a particularly bright shade of sapphire that Mother Nature has enhanced with the unique red color of the surrounding volcanic rocks and areas of bright green moss. For a small fee you can walk around the crater rim and even descend into the crater to reach the edge of the lake. 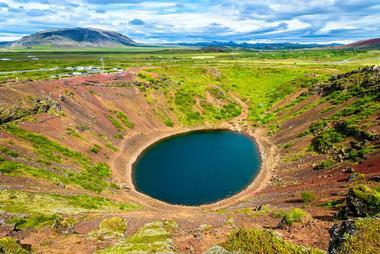 Kerid Crater Lake can be easily accessed along the popular Golden Circle route in southern Iceland. 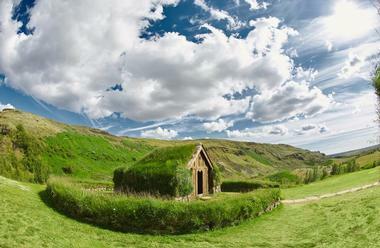 The Skogar Museum complex is located in southern Iceland very near to the famous Skogar Waterfall. The museum offers visitors the chance to learn about the history and culture of Iceland by stepping inside a variety of original Icelandic structures that have been collected from all over the country and reassembled on site. 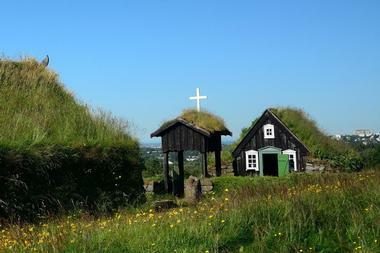 The buildings include a traditional turf farmhouse as well as a schoolhouse, a church, and a traditional cattle barn. Modern additions include a hydroelectric plant to show visitors how the original pioneers harnessed the power of Iceland’s plentiful waters. A recent addition is the Museum of Transportation, which traces transportation advances from ancient to modern times. 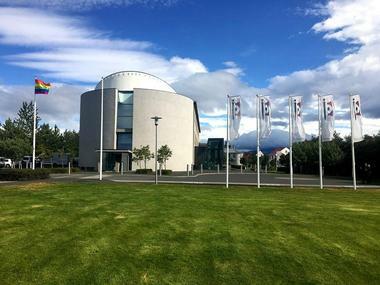 The National Gallery of Iceland is located in Reykjavik and is proud to showcase an impressive collection of fine art. The main emphasis of the gallery’s extensive collections are Icelandic Artists of the 19th and 20th century, but the gallery also boasts an impressive collection of works by internationally known artists such as Edward Munch, Hans Hartung, and Pablo Picasso, to name but a few. The collections are showcased in a series of accessible galleries spread across three floors, and the gallery also holds regular visiting exhibitions by both local and international artists. You can conclude your visit to the gallery with a drink or snack at the restaurant and a visit to the gift shop. Visiting the National Museum of Iceland is a fun and easy way of learning about the fascinating history and culture of this island nation. The museum’s permanent collection is entitled The Making of a Nation, and it traces the history of the country from the Settlement Age to the present and includes over 2,000 objects and 1,000 photos. 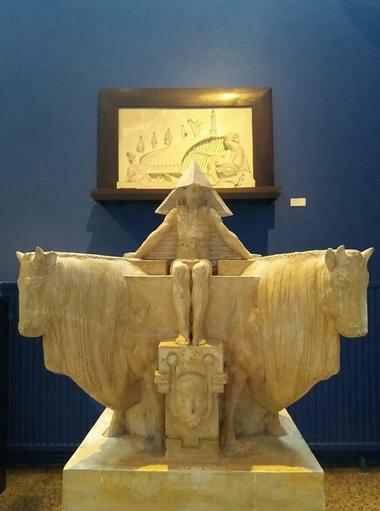 As well as the permanent collection the museum features regularly-changing temporary exhibitions and events throughout the year, some of which are displayed in the near-by Culture House, which forms a separate part of the National Museum. After touring the museum you can enjoy a snack at the café before visiting the gift shop. Step back in time to the fascinating world of the Viking Age at the Settlement Exhibition, which forms part of the Reykjavik City Museum. 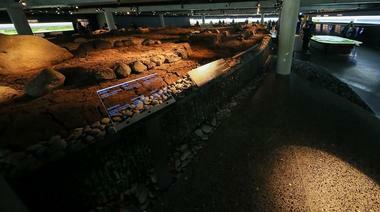 Just imagine – a remarkable archaeological site exists just under the surface of downtown Reykjavik. The discovery of ancient Viking remains was made during building work in 2001 and resulted in the open-excavation site you can visit today, which is thought to date back to at least 871 AD, providing the earliest evidence of human settlement in the city. Modern interactive exhibits allow you to delve deep into the world of the pioneering Vikings to see how they lived and built. You can tour at your own pace with the aid of an audio guide, and the entire exhibition is very family-friendly. The impressive collection of over 17,000 works of art belonging to the Reykjavik Art Museum is spread across three separate city buildings and includes substantial collections by three of Iceland’s most prominent artists, namely Hafnarhus, Kjarvalsstaoir, and Asmundarsafn. In addition, the museum showcases modern and contemporary art by many other respected artists and also strives to bring new talent to the forefront by holding exhibitions for aspiring young artists. 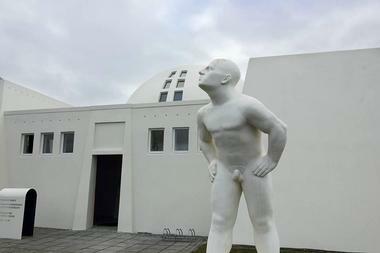 The Asmundarsafn venue was once the unique home of the famous sculptor and the surrounding sculpture garden houses many of the artist’s larger installations. A single admission ticket is valid for all three venues if you visit within 24 hours. If several centuries worth of legends and stories are to be believed, the waters surrounding Iceland are inhabited by a variety of fearsome sea monsters. If you love legends, you should make your way to Skrimslasetrid to satisfy your curiosity. Much like the legendary Loch Ness Monster in Scotland, the sea monsters of Iceland have never actually been captured on film, but there are many stories of sightings that have been passed down for generations, and these are all recorded and open to public scrutiny at the museum. You can listen to recorded eyewitness accounts of sightings and enjoy several interactive exhibits. 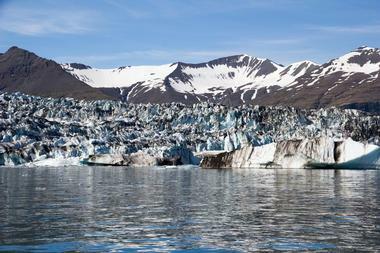 The museum is located in the small fjord town of Arnarfjordur on the north coast of the island. 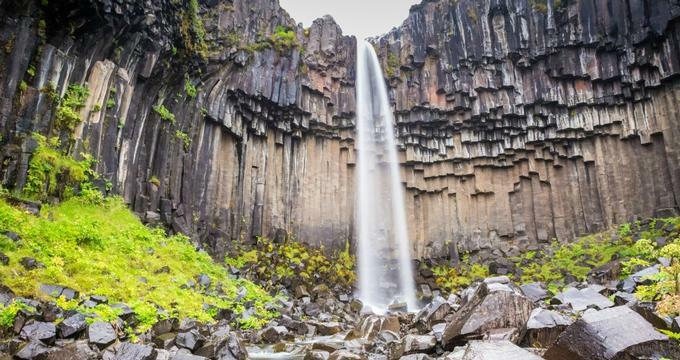 Although the Svartifoss is neither the tallest or largest waterfall in Iceland, it is definitely worth a visit to admire the unique black hexagonal lava columns that form its backdrop. Nestled in the heart of the Skaftafell National Park in southern Iceland, the unusual lava columns were formed over many centuries by slowly cooling lava, which has resulted in a most unusual formation of rocky pillars. You can reach this peaceful and scenic waterfall quite easily along a well-marked hiking trail in the national park. It is the ideal spot for a picnic, but do not be tempted to try and swim, as the base of the pool is full of sharp rocks. 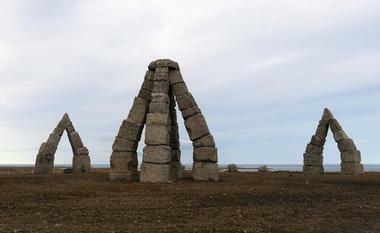 Currently a work in progress, it is believed that on completion, the Arctic Henge will dwarf famous Stonehenge in the U.K. The planned complex will eventually be over 160 feet in diameter and will contain concentric rows of stones and stone monuments aligned with the midnight sun. The pagan complex currently consists of a central balanced tri-column structure that will form the epicenter of the final monument. Still to come are 72 small blocks that represent dwarfs (the outer circle) and four larger stone monuments, which are to be built around the central column. The entire monument is based on the eddic poem Voluspa (Prophecy of the Seeress). Iceland has a variety of unusual museums including Strandagaldur, the Museum of Icelandic Sorcery and Witchcraft, which is located in Holmavik on the north coast of the island. In days gone by, sorcery and witchcraft were universally feared and led to an abundance of grim legends and folklore, which are remembered and displayed at this small but interesting museum. Pride of place among the rather morbid exhibits goes to the “necropants” display, which is the dried skin of a man from the waist down, which was apparently used in a spell to bring wealth. 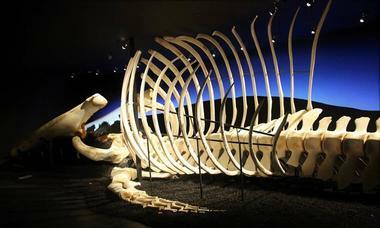 Some of the chilling exhibits are quite shockingly portrayed and would not be suitable viewing for children. 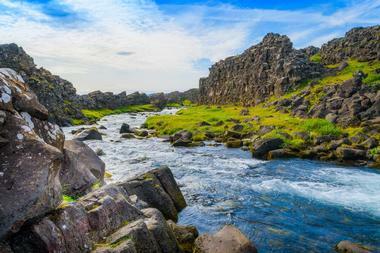 This UNESCO World Heritage Site was the meeting place of the original rulers of Iceland for hundreds of years (930-1798) and is located on the tectonic plate fissure zone that runs through the country. Before you set off to explore the area on foot, you can spend a little time at the Visitor’s Center where a series of interactive exhibits (in several languages) will explain the natural wonder you are about to tour. There are a network of marked hiking trails to follow and several campsites that are open during the summer months. For qualified scuba divers, the remarkably clear waters of Lake Thingvallavatn offer a unique opportunity to see the rift in the earth’s surface from below the water. 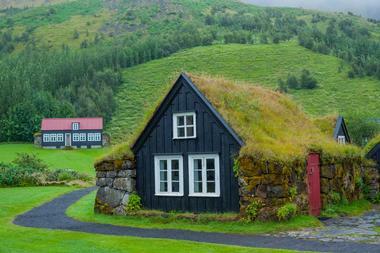 The Commonwealth Farm has been carefully reconstructed using the excavated Viking-era farmhouse Stöng, which is thought to have been abandoned after it was destroyed by a volcanic eruption in 1104. The reconstructed site offers visitors a chance to step inside a replica of the kind of home Icelandic ancestors would have inhabited around the time of the Settlement Age. Here you will get an idea of how these people lived, farmed, and the considerable challenges they faced. Besides the reconstructed home you can also visit the adjoining church, which like the homestead is covered in turf and demonstrates the wide-spread use of wood and wood carving skills. Vatnajokull National Park is the largest national park in Europe, entirely encompassing the Vatnajokull Glacier, which is the largest glacier outside the Arctic circles. The enormous park is located in the south of Iceland where it provides a wonderfully scenic playground for outdoor enthusiasts, while giving visitors the chance to learn about the remarkable interaction of volcanoes and glaciers. In summer hiking and camping are the main activities in Vatnajokull, and there are several outfitters offer guided tours that take you walking on the glacier and exploring the amazing ice caves. You can get a bird’s eye view of this incredible natural wonder by going on an air tour of the park. Most people are fascinated by the fearsome Vikings and will thoroughly enjoy the Viking World Museum, where you can see an exact replica of a famous Viking ship that was unearthed in Norway in 1882. In addition to the ship, the Icelander, (which is perfectly sea-worthy and sailed to New York in 2000 to celebrate the Viking millennium), you will also be able to see five other exhibits, including one entitled “Vikings: The North Atlantic Saga,” which tells the story of the Norse settlements and explorations of other continents, which eventually led to theself-driv discovery of North America almost a 1000 years ago. 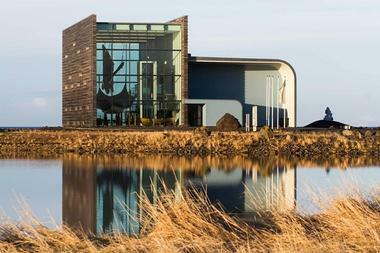 The museum is located in an impressive modern building on Faxafloi Bay, not far from Reykjavik.